Straw shortages across the country have hit pig producers’ margins and highlighted the need for diverse production systems in the pig sector. According to pig marketing co-operative Thames Valley Cambac’s market report, weaner demand, although steady, had been curtailed in some cases by ‘a lack of realistically priced straw’. 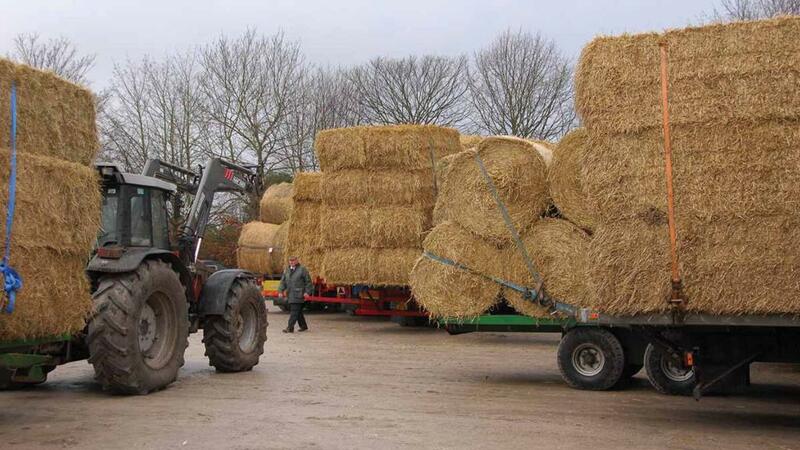 It said the demand for straw from straw burning power stations was ‘putting a great strain on a finite resource’. Prices for wheat and barley straw have been about double the price this time last year. National Pig Association chairman Richard Lister said producers had been paying more than £100 per tonne for straw for the past few months, with no signs of the situation easing and supplies running low. “We had a difficult growing season and a wet autumn but the situation has been made much worse by the demands of straw burning plants, which have created an artificial imbalance in the market,” he said. According to AHDB, prices were beginning to rise due to ‘BBQ weather’, with the EU-spec SPP at 147.94p/kg, although this was 11.27p/kg below last year. Mr Lister added it was also important to point out to people who wanted the entire pig industry to move towards straw-based systems, ‘including Defra ministers’, there were not infinite supplies available. He said diversity enabled the industry to sell high quality, high welfare pork at all price points but it was ‘not putting all our eggs in one basket’ on inputs.